Saudi Arabia has embraced President Trump’s decision yesterday to pull the United States out of the JCPoA, the agreement to curb Iran’s nuclear ambitions by offering sanctions relief in exchange for Iran’s compliance with non-proliferation standards, according to statements made by top Saudi officials and the Saudi Press Agency. As the chief rival of Iran in the region, Saudi Arabia believes Iran took advantage of the economic benefits afforded by the lifting of sanctions and used them for destabilizing purposes throughout the region. While the Kingdom previously supported the JCPoA in 2015, that support was before Iran “took advantage” of the deal. 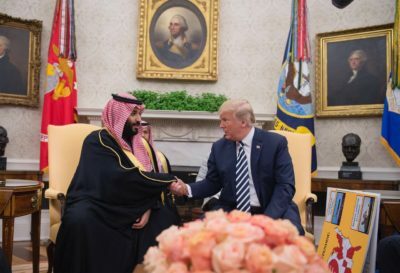 President Trump and Crown Prince Mohammed bin Salman. Saudi Arabia’s Ambassador to the United States, Khalid bin Salman, released a statement on Twitter expressing his agreement with the decision. “The Kingdom of Saudi Arabia fully supports the measures taken by [President Trump] with regards to the JCPOA. [W]e always had reservations with regards to sunset clauses, ballistic missiles program, and Iran’s support for terrorism in the region,” Ambassador Khalid bin Salman said. “As I said before with regards to the deal, we are on auto pilot heading towards a mountain. Deal has fueled Iran’s malicious expansion driven by its extremist ideology. It provided Iran with a financial windfall that it used to further sectarian strife / chaos in the region. “Since deal was inked, instead of behaving like a responsible member of the int’l community, the time doubled down on its support for terror, providing dangerous weapons (such as ballistic missiles) to terrorist proxies including the Houthis in Yemen to target civilians in KSA. “KSA always believed that the int’l community can not address Iran’s pursuit of WMD, without addressing the mass destruction Iran is inflecting on the region. Any future deal must address Iran’s ballistic missile program, and its increasing financial / military support for terrorism. The position was emphasized by Foreign Minister Adel Al-Jubeir. Saudi Arabia’s approbation of the decision by President Trump puts the Kingdom at odds with the major European powers as well as U.S. Democrats and some Republicans in the United States. According to a poll released in October, a majority of Americans liked the Iran deal. Only 19 percent of those polled said they disapprove of the Iran deal. “I believe that the decision to put the JCPOA at risk without any Iranian violation of the deal is a serious mistake,” President Obama said in a statement. 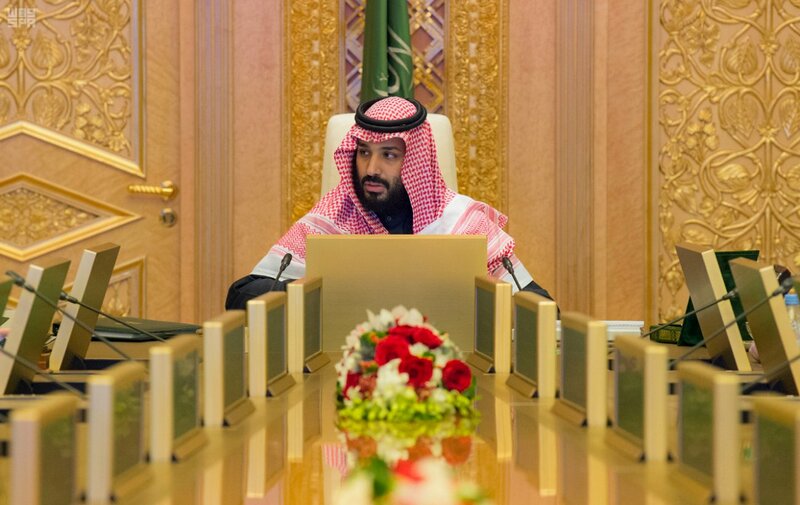 Crown Prince Mohammed bin Salman said recently in an interview with CBS the kingdom would pursue a nuclear weapon if its regional rival Iran obtains one.